Lens Description: This Phoenix 800mm f/8 Mirror Manual Focus Lens is an ultra-telephoto lens that is incredibly compact and lightweight for its focal length. This is achieved by using a reflex design. 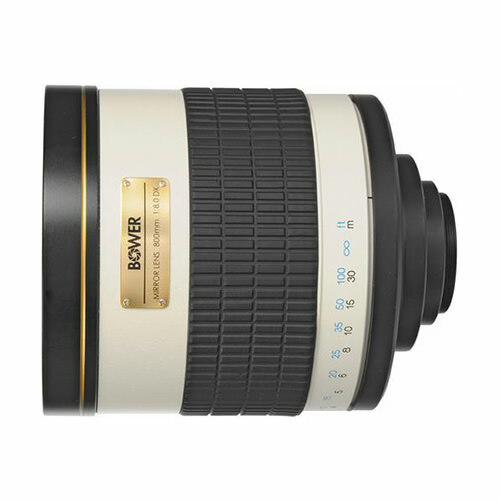 This lens is ideally suited for wildlife and sports photography. It has a fixed aperture of f/8. The lens is adaptable to fit almost any camera lens mount using a simple T-mount adapter.